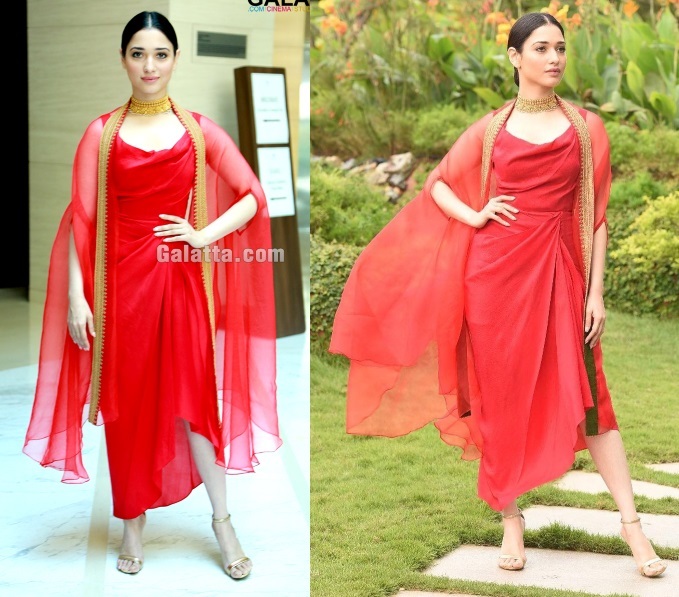 Wearing a Tisha draped dress featuring gold embroidered cape, Tamannaah attended a press meet in Chennai recently. Letting the outfit be the highlight of the look, she kept her hairdo and footwear simple, added a gold choker and skipped on a bold lip. 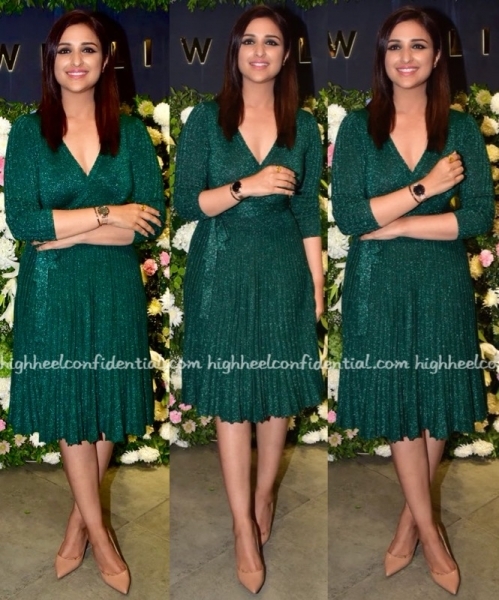 For her appearance at a recent store launch, Parineeti picked a faux-wrap dress by Trabea to wear. Letting the watch be the star accessory (understandably of course), the actor teamed the knit dress with a pair of classic Christian Louboutin pumps. She looked nice. Wearing a crop-top with a brocade lehenga/skirt from Jade, Parineeti attended an award presentation in Mumbai recently. The actor rounded out her look with a gold choker and hot-pink lip color. As much as we want to like this look, it’s hard to look past the lip color and necklace that seemed to be at odds with the outfit; they all clashed! Bit of a miss, this. Wearing Shivan and Narresh, Shilpa filmed an episode of her reality television show. Outhouse jewelry and a pair of metallic sandals rounded out her look. As well as she wears it, it isn’t my favorite look on her. That “sari” just has way too much going on for me. Grazia’s February cover girl, Parineeti unveiled the magazine’s latest issue wearing color-blocked separates by Kanika Goyal. Ponytail in place, she rounded out the look with a pair of matching blue pumps. The actor did good! Minor detail as it was, just wish she hadn’t gone so match-y with the shoes.